Found this same truck again today. I hung around for about 20 minutes and nobody showed up. Beautiful! Maybe the trucks name is "Christine" !! Dang....whatever this person does (shopping or what not), he/she sure takes their time. Some things are worth stalking! 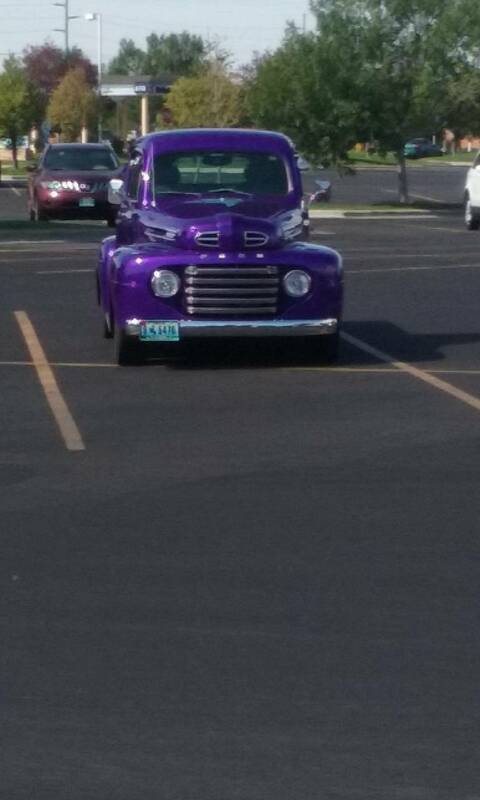 I saw something very similar at the local mall parking lot. It was blacked out with some nice chrome wheels, very cool and very sinister looking. He might have been in the bathroom! That's where I draw the line. I don't even want to think about that! I'm drooling. I love old fat fenders. I do love those old trucks. My problem is that then I would have to have 2 trucks, and my wife complains about costs of everything, like insurance. I also have this issue. If it was built to be a truck, I use it like one. I have prettied up several "trucks" for friends, they never would have thought of putting 3 tons of gravel in the back of theirs. I would hate to mark up something like that.